South Africa’s prime wildlife-watching location, Kruger is home to most of the country’s wild lions. With luck, you’ll spot each of the 'Big 5' here, along with some of the park’s 2,000 lions, scattered across a vast area the size of Wales. Since the founding of the park back in 1898, the lion population here has increased dramatically, growing from around 600 individuals in the 1920s. One of the most unforgettable experiences on safari is hearing the spine-tingling roar of a lion at night; you’ll get this here for sure. Another world-famous lion-spotting location, the Masai Mara has one of the highest concentrations of the predator in the world. The greater region combines lush forests, vast open plains and open waterways, meaning the varied terrain brings a mix of predators and prey. Home to lions, leopards and cheetahs, you’ll be spoilt for choice with sightings here. 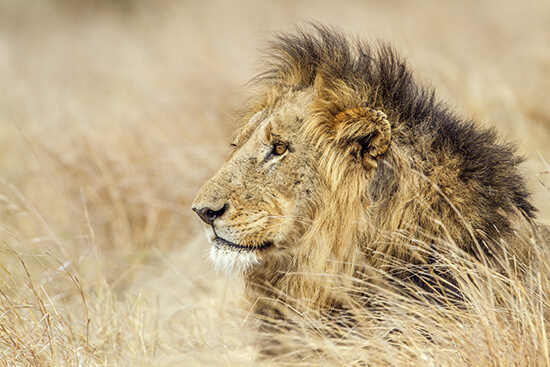 Botswana’s world-famous Okavango Delta is not the most likely place to find prides of lions. After all, most cats are not keen on water. 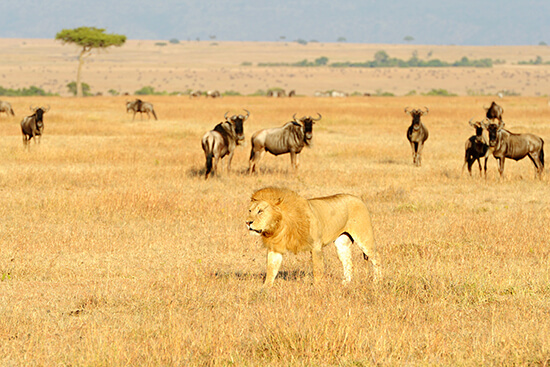 However, unusually, lions have thrived in this habitat, thanks to the abundance of buffalo here too. In fact, they have evolved to be stronger than usual, perhaps down to wading through water constantly. They’ve even adapted to hunt during the day, making sightings even more likely. A key destination on many travellers’ wish lists, Tanzania’s section of the Serengeti is world-famous for the part it plays during the Great Migration: a year-round movement of wildebeest which spans a whopping two countries. With a million wildebeest, followed by thousands of gazelles, zebras and more, it’s no surprise this region is packed with lion prides too. 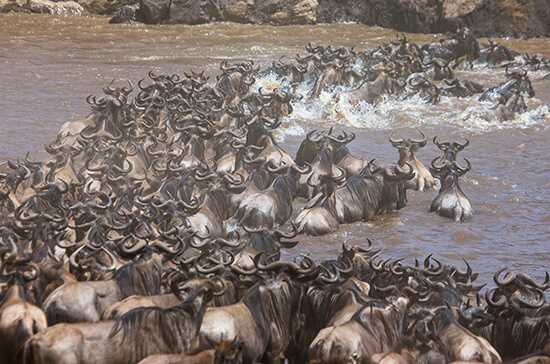 The Great Migration trails through this region from June to September. During this time, the landscape is popular for sightings, but with that comes plenty of other tourists to share the experience with too. You won’t only find these great beasts on the great open plains of Africa. In Namibia, lions have adapted to live within the country’s vast desert terrain. 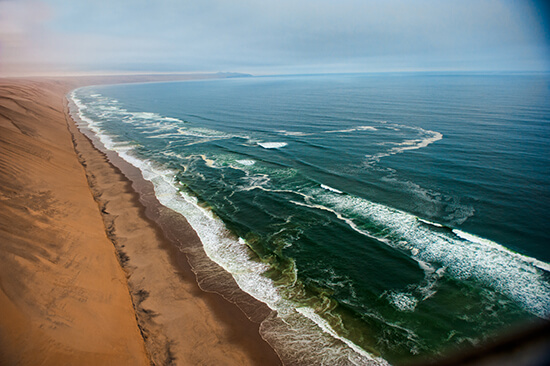 Numerous prides call the Skeleton Coast National Park home, hunting oryx and antelope, not to mention scavenging the beaches for sea lions and even washed-up whales. Visitors should note that sightings here are far and few between, however. Each year, from June to September, Zambia’s South Luangwa National Park is home to ‘Lion Camp’, so named for its regular sightings. Near-daily updates are posted to Twitter (@lioncamp) so you can keep up to date with real-time information. 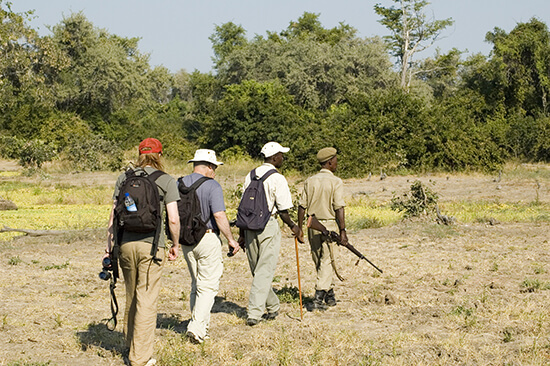 Zambia was the birthplace of the walking safari too, which can range from a morning stroll through the bush to a multi-day hike in the wilderness. In the presence of trained, experienced guides, visitors can find themselves less than 20 metres from lions. Check with your safari operator, camp or lodge before booking to see if this option is available to you. Look for lions on one of our tailor-made holidays to South Africa. Speak to our Travel Experts about our Garden Route & Safari Journey in particular, with prices from £1,599pp for 13 days.